Looking for a special gift this holiday season? Through Friday, Dec. 21, save 30% on all books and 20% on all jewelry and pottery in the CWS Gift Shop! Come see the unique offerings by local artists, a selection of which you can view in this Facebook album, as well as other jewelry, holiday cards, books and art prints. 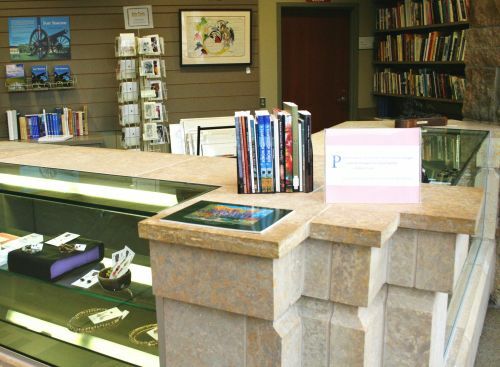 Stop by Monday-Friday, 8 a.m - 5 p.m., or call 605.274.4007 to inquire about specific pieces. 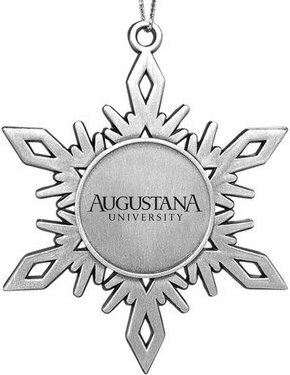 Celebrate your holidays in style with ornaments from the Augustana Bookstore. Monday, Dec. 10 - Thursday, Dec. 13: 9 a.m. - 5 p.m.
Friday, Dec. 14: 9 a.m. - 4 p.m.
Monday, Dec. 17 - Friday, Dec. 21: 10 a.m. - 3 p.m.
Thursday, Dec. 27 - Friday, Dec. 28: 10 a.m. - 3 p.m. Celebrate our 100th year in Sioux Falls with Augieopoly, the fast-dealing property trading game with a Viking twist. You shop and Augustana receives a donation! As a member of the AmazonSmile Charitable Program, Augustana receives 0.5% of the price of your eligible AmazonSmile purchases. Enjoy shopping even more with the knowledge that every dollar you spend on eligible products will benefit Augustana students. In an effort to help those in need this holiday season, Augustana students are collecting donations and gifts for area teens and families in need. Learn more about how you can help.